Yesterday a gal in our lunchroom overheard me talking about a tool that I use in our marketing department for automating email campaigns, and asked if she could pick my brain as a marketing manager. She wanted to know why I chose that tool, what my process is for choosing cloud apps for business, and why. My first instinct was to tell her that I searched for “automated email marketing”… but when I really took a minute to look back on how I started my search, I realized that it didn’t really start that way at all. The reality is that I shop for cloud apps the same way that I shop for a cute pair of boots, a new kitchen gadget, an area rug, or whatever. I start by looking online at the brands I know and trust — Macy’s, Williams Sonoma, West Elm — so I can see what the trends are, what really strikes my fancy, and figure out what I’m really looking for. Then I start my search in earnest. 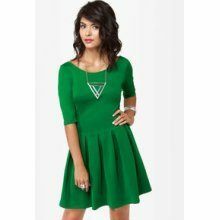 I take what I learned from the big brands — i.e., I really want to wear a “kelly green skater dress” to my Christmas party this year — and then I get down to Googling. That’s where I find better deals from retailers I never even knew existed, by searching for specific features that I never really knew I wanted until now. So that’s really how I found my marketing automation tool. I went to the websites of the big names in the business, learned about which features were important to me, and then based my search around those features. Courtesy of Google, I found a lesser-known company that does the same things as the big guys (or at least the things that mattered to me), but for a lot less — which means I have more money left in the marketing budget to run cool campaigns. Don’t get me wrong, there are lots of other things to consider when choosing a cloud vendor — SLA, security and integrity of your data, how you’re treated as a customer, etc. — but knowing what you want at the beginning of your search is a big part of being happy with the vendor you select in the end. What do you think of this approach? How do you find the right tools for your business? I’d love to hear from you! 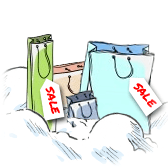 Leave me a comment below, email me, or tweet your cloud app shopping tips to @SmartVault. Happy Shopping!